iTunes is the world’s biggest online music store. It is probably also one of the world’s biggest distributors of DRM music. Before 2009, iTunes music files are encoded with “FairPlay” DRM protection; most of them need to pay. And even iTunes stopped selling music with DRM on it, the music you bought and downloaded from iTunes store before 2009 is still protected by DRM, so you cannot put them on any other devices that aren’t linked to your iTunes Music account, such as Samsung Galaxy tablet, Window Phone, MP3 player, and Kindle Fire. But if you have the need to transfer those DRM-protected older songs to non-Apple platforms, you are supposed to find a DRM removal tool then. 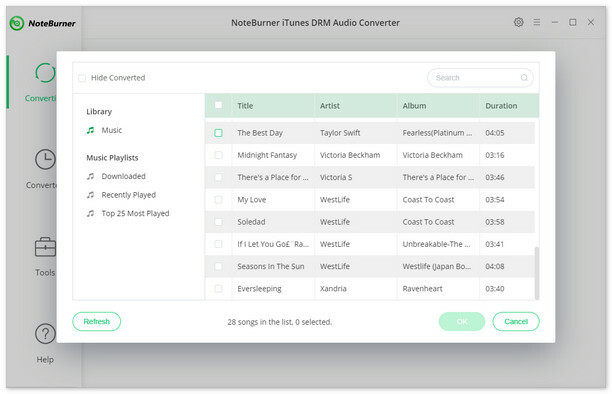 While here comes NoteBurner iTunes DRM Audio Converter to help you solve the above problem. 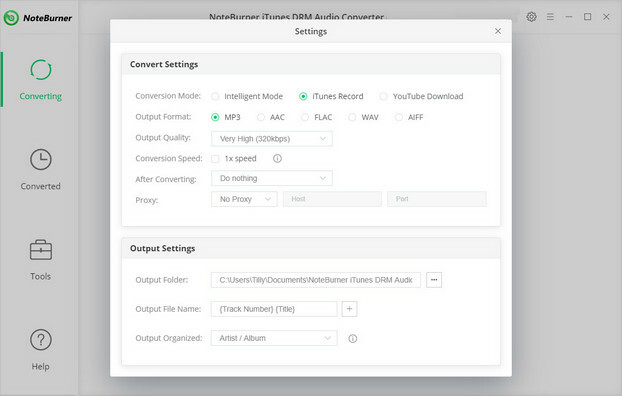 NoteBurner iTunes DRM Audio Converter is a professional iTunes DRM Audio Converter to reomve DRM from iTunes M4P music files, Apple Music and M4A/M4B/AA/AAX audiobooks and convert them to MP3, FLAC, AAC or WAVformat for playing offline on your iPod, iPhone, Zune, PSP, MP3 player, etc. What's more, it also offers retention of ID3 Tags information to the output format after conversion. And the program performs the conversion at 10X faster speed with lossless quality. 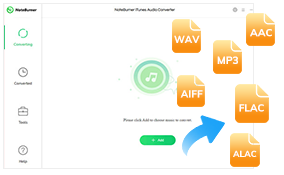 In this case, you can easily get the DRM-free iTunes M4P tracks and transfer to your devices for listening without any limits. 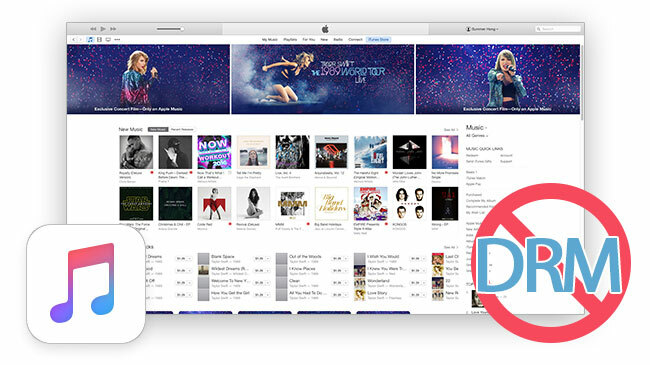 The following is the detailed tutorial to guide you to remove DRM from iTunes music and convert to MP3 format. Please download NoteBurner Apple Music Converter first before getting started. After completing the above steps, the final one is clicking the button "Convert". Just a few second, it will succeed. After converting, the output folder will be open automatically. Or you can click the History button on the top-right interface to find the converted music. The converted music is DRM-free, you can transfer them to any of your devices for listening.